Olivia surprises us everyday with how big she is getting. 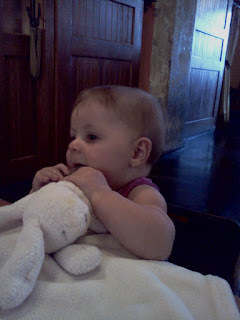 Just yesterday she sat in a restaurant high chair and squealed the whole time. 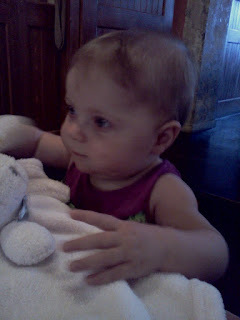 She also attended her first birthday party for a fellow chder. We are looking forward to a major first birthday blowout and man will she deserve it.